This UNIQUE full-day EVENT is the premier annual conference for VCs, angels, and entrepreneurs on the East Coast. Come meet some of the nation's top venture capitalists, investors and entrepreneurs in a FULL DAY of networking, learning, connecting, and celebrating innovation and entrepreneurship! Venue - The beautiful Conference Center at Marymount University Ballston Center,1000 North Glebe Road, Arlington, VA.
DAVID PETR - President and CEO, Montgomery County Economic Development Corp.
Moderator: DAVID PETR - President and CEO, Montgomery County Economic Development Corp.
2:00 - 2:45 PM - CONCURRENT PANELS "A"
2:45 - 3:30 PM - CONCURRENT PANELS "B"
Revolution Ventures, Carlyle Group, Kinetic Ventures, Sterling Partners, Core Capital, Grotech, UPDATA, Novak Biddle, New Atlantic Ventures, Edison Ventures, SWaN & Legend Venture Partners, Venturehouse, Boulder Ventures, TDF Funds, Ballast Point Ventures, Urban Us, Multiplier Capital, Saratoga Investment Corp., Maryland Venture Fund, New Markets Venture Partners, True Ventures, 500 Startups, Amplifier Venture Partners, DFW Capital Partners, Farragut Capital, NextGen Angels, CIT GAP Funds, TEDCO, BluVenture Investors, Leeds Novamark, Private Access Network, CAV Angels, K Street Capital, Select Venture Partners, RLMcCall Capital, ID Private Equity, Cranbrook Capital, Baltimore Angels, Pennington Partners, Acceleprise, Blue Marlin Partners, VentureCross Partners, US Boston, Berman Enterprises, Dingman Angels, Neuberger & Co. Ventures, McLean Capital, Angel Venture Forum, Brilliant Keypoint Investments, Paras Ventures, NextSteps Capital, Noblestar Capital, Hercules Technology Growth Capital, Grindstone Partners, Exhilirator, New Vantage Group, New Dominion Angels, National Capital Companies, Enhanced Capital, MTECH Ventures, Mosaic Capital, Opus8, Blue Heron Capital, Duncaster Investments, Private Capital Network, Next-Stage Development Group, Lancaster Angel Network, Decisive Investment Group, Harrell Partners, Ruxton Ventures, MD Center for Entrepreneurship, Fortify Ventures, Conscious Venture Labs, 1776, Halcyon, and Keiretsu Forum. 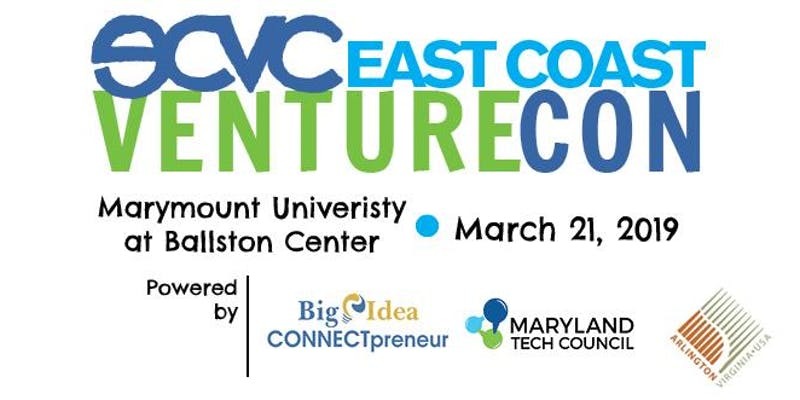 "CONNECTpreneur is the region's leading event for bringing together people who will drive our economy forward." "Thank you again for the invitation to CONNECTpreneur. It is so incredible to watch the Forum become THE entrepreneurship/investor forum in the Washington, DC metro area, and maybe the entire Mid-atlantic region."